AWS Lambda, a serverless compute service, is now available in the AWS GovCloud (US) Region, Amazon’s isolated cloud region built for sensitive data and regulated workloads. 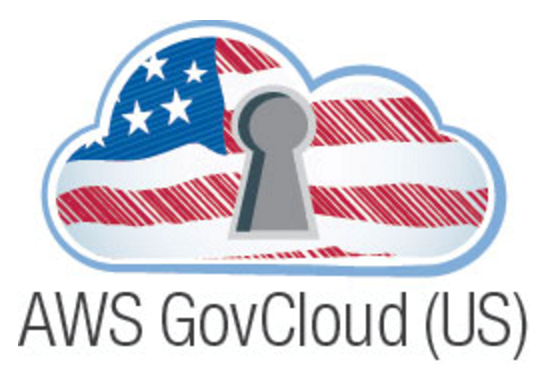 Lambda now enables developers to run code in AWS GovCloud (US) without provisioning or managing servers. Lambda executes your code only when needed and scales automatically, from a few requests per day to thousands per second. You pay only for the compute time you consume; there is no charge when your code is not running. With Lambda, you can run code for virtually any type of application or backend service – all with zero administration commitment. Changes to data in an Amazon S3 bucket or an Amazon DynamoDB table. Invoking your code using API calls made using AWS SDKs. With these capabilities, you can use Lambda to easily build data processing triggers for AWS services such as S3 and DynamoDB, process streaming data stored in Amazon Kinesis, or create your own backend that operates at AWS scale, performance, and security. Upload your code as Lambda functions and Lambda takes care of everything required to run and scale your code with high availability. Lambda seamlessly deploys your code, runs your code on a high-availability compute infrastructure, and performs all of the administration of the compute resources. This includes server and operating system maintenance, capacity provisioning and automatic scaling, and code monitoring and logging through Amazon CloudWatch. All you need to do is supply your code in one of the languages that Lambda supports (currently Node.js, Java, C#, and Python). Lambda allows your code to access other AWS services securely through its built-in AWS SDK and integration with AWS Identity and Access Management (IAM). Lambda can also run your code within a Virtual Private Cloud (VPC) by default. You can optionally configure Lambda to access resources behind your own VPC, allowing you to leverage custom security groups and network access control lists to provide your Lambda functions access to your resources within a VPC. JPL is a known innovator in Space. Much of the data JPL uses is sensitive. Running Lambda in AWS GovCloud (US) will allow JPL to run AWS IoT and serverless computing on numerous mission workloads. This will enable JPL to save a lot of money and effortlessly run at huge scale as we search for answers to the big questions regarding life in Space, finding Earth 2.0, protecting Earth, and more. FINRA used AWS Lambda to build a serverless data processing solution that enables them to perform half a trillion data validations on 37 billion stock market events daily. “We found that Lambda was going to provide us the best solution, for this serverless cloud solution. With Lambda, the system was faster, cheaper, and more scalable. So at the end of the day, we’ve reduced our costs by over 50% … and we can track it daily, even hourly,” said Tim Griesbach, Senior Director, FINRA, in his 2016 re:Invent talk. Regardless of data volume, any file is available in under one minute. And, they have less infrastructure to manage now. Choose Lambda in the AWS Management Console, and select your function by uploading your code (or building it right in the Lambda console) and choosing the memory, timeout, and IAM role. Specify the AWS resource and event to trigger the function, either a particular S3 bucket, DynamoDB table, or Kinesis stream. When the resource generates the appropriate event, Lambda runs your function and manages the necessary computing resources to keep up with incoming requests.